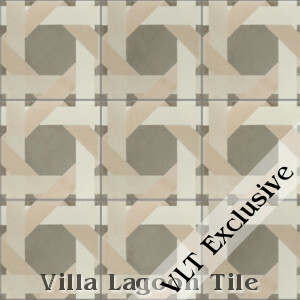 "Scheerer" Cement Tile Clearance Sale! This is a 5-color 8" cement tile, using Alabaster, Ancestral Cream, Buff, Portobello and Camel from the South Beach Palette. 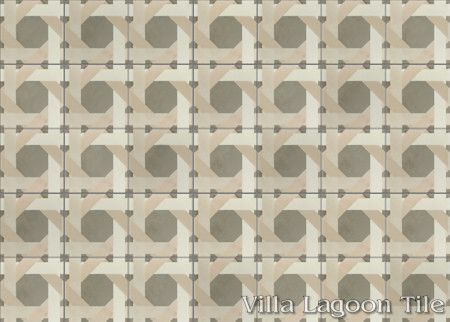 "Scheerer" cement tile is a square spin on our original design "Hex Cane", at the request of designer and long-time client Tom Scheerer. 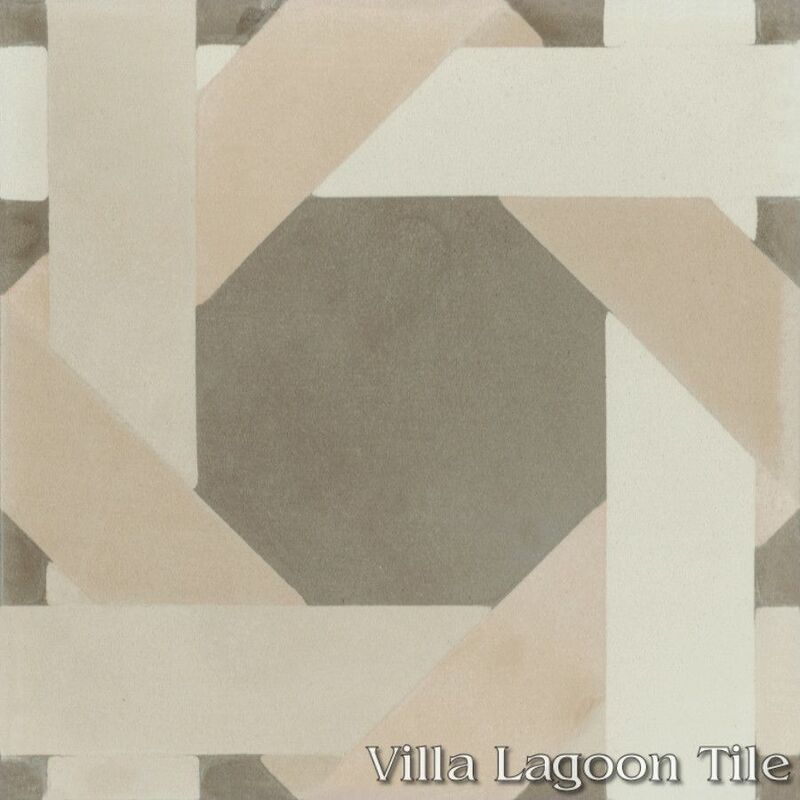 After seeing the beautiful result, he suggested that this could be a tile named for him. As with the original, our square version in these warm earthy tones recreates the elegance of a nice cane chair. "Scheerer", Lot SB-B09, In Stock Clearance Sale!